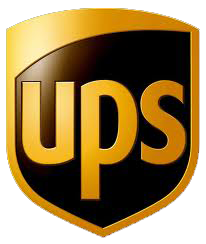 Door hangers (also spelled "doorhangers" as one word, or with a dash, "door-hangers") are a form of leaflet distribution. They are two-sidedpamphlets with a hole and a cut at the top, allowing them to be easily attached to a door-knob. 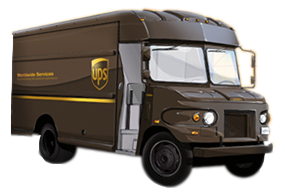 They are distributed in a manner similar to how door-to-door advertisers work, but instead of knocking the distributor simply hangs a door-hanger on the door. Door hangers are less intrusive than door-to-door salesmen, but they are much harder to ignore than traditional flyers, since the home-owner has to manually remove the door hanger, and with the right design (big, bold letters, contrasting colours, emphasis on the product and the provider), be exposed to the door hanger's message. Because the efficiency of a door hanger relies on the hanger actually hanging on the door knob when the home owner sees it, it is important that door hangers are made of materials durable enough to withstand outside weather for the time needed for a homeowner to see it. As such, similar advertisement tools, such as flyers, can be made from cheaper materials without affecting their effectiveness, which leads to there being a 3x to 5x difference in prices. 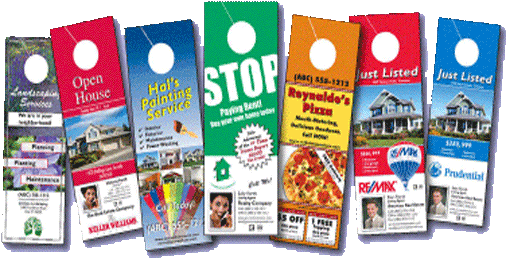 Additionally, door hangers are once again becoming a popular way to advertise goods and services to local customers, especially as E-mail spam continues to run rampant, overcrowding email Inboxes.